Asian melons.. any idea which kind this is? 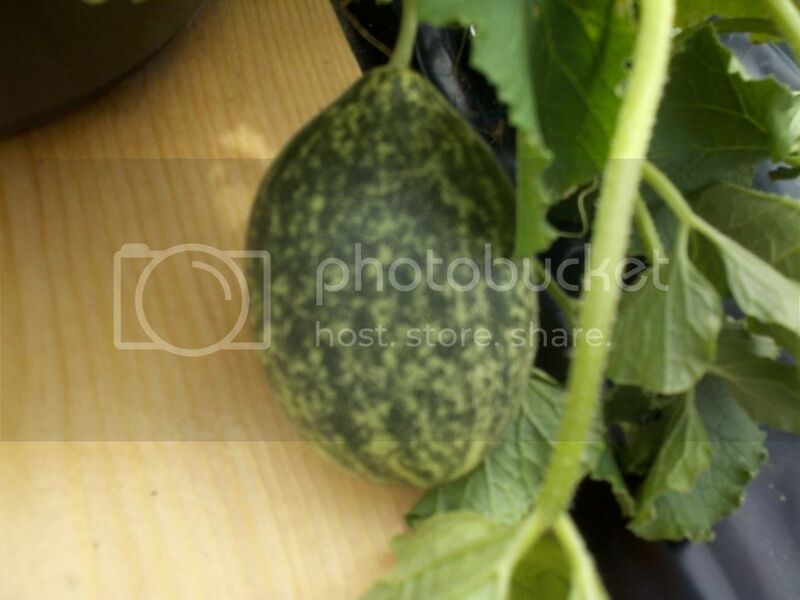 Here is a picture of the fruit of my asian melon plant. Any idea what kind of asian melon it is? Bitter? Sweet? First time gardener... are you all ready? Re: Asian melons.. any idea which kind this is? sixboots wrote: Here is a picture of the fruit of my asian melon plant. Any idea what kind of asian melon it is? Bitter? Sweet? Therse should grow larger about 12" in diameter and should be watery, sweet, pink. The seeds are also edible. It's been a while since I posted this, and the melon has since been eaten. It didn't grow much at all after that picture was taken. It grew another fruit, which, other than the shape, didn't resemble this one at all. It was more of a solid, light color. Both tasted somewhat like a cantaloupe, but better (I don't actually like cantaloupe). Still not sure which variety it is.